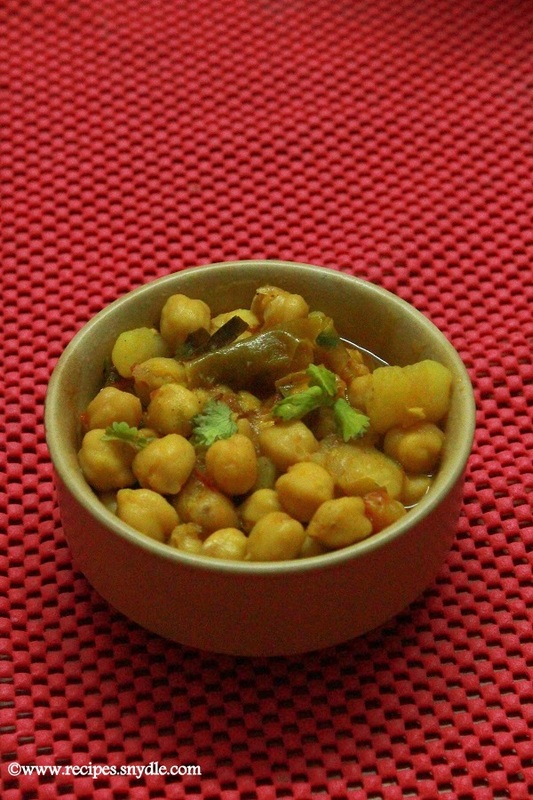 Today’s recipe is aloo chana curry. Potatoes are called as aloo in hindi and chickpeas is called as chana in Hindi. Potato with chana is a very tasty combination and can be served as a side dish with chapati, roti, paratha or with poori. This is one of the easy chana masala gravy and makes use of very few ingredients. There are many versions of aloo chana which are made regularly in Indian houses, but this is the basic version made with onion tomato gravy and few other spices. It is very easy to prepare and I often make it at home as a side dish for chapati. I have used dry chickpeas here. You can also use canned chickpeas if you are running short of time. And if you are using dry chickpeas, then always make sure that you soak it for 8 – 10 hours before cooking. I usually soak chana overnight, but if not, soak it for 8 – 10 hours. You can also add a pinch of baking soda while cooking the chana, but I don’t do it. Chickpeas also called as chana or chole is widely used in Indian food. It is rich in proteins and is a best protein supplement for vegetarians. It is also said that chickpeas has low glycemic index and is good for diabetic people. It also has soluble fiber, iron content, and also helps in proper management of sugar levels in our body. Chickpeas has got high fiber content, which helps to provide a healthy digestive system and intestine and also helps to lower the risk of digestive disorders. It also helps to reduce the risk of bowel complications like constipation. 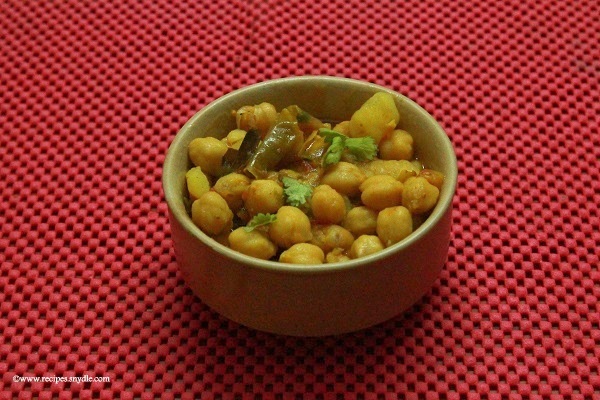 I have followed very easy method while making this chana potato curry. 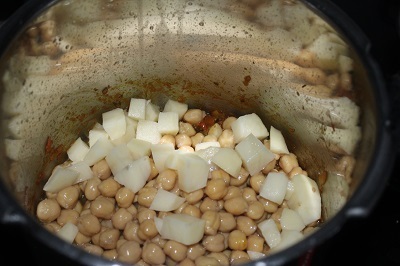 Soak chana for 8 – 10 hours or overnight. 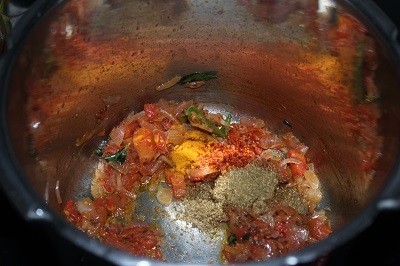 In a pan, sizzle jeera, saute onion, ginger garlic, and then saute tomatoes till they become mushy. Add the spice powders and saute them till the raw smell goes off. Add aloo and chana. Cook for 3 whistles, then reduce the flame and cook for another 10 more minutes. The curry is ready. 1. Heat oil in a pan. Add cumin seeds and wait till it sizzles. 2. 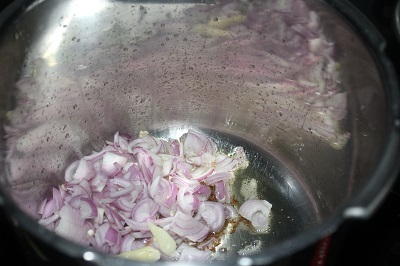 Add onion, slit green chili and saute till they turn golden brown in color. 3. Add ginger garlic paste and saute well. 4. 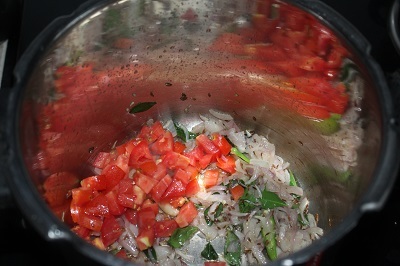 Now add chopped tomatoes and saute till it gets cooked well and oil starts separating. 5. Add chili powder, turmeric powder, coriander powder and mix well. Saute till the raw smell goes off. 6. Add chana, potatoes and saute well. 7. Add water, salt, mix well. 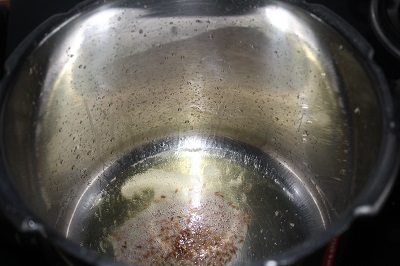 Cover and pressure cook for 3 – 4 whistles and then simmer for 10 minutes. Turn off the flame and wait till the pressure subsides. 8. Open the pressure cooker and garnish with coriander leaves. 9. Aloo chana curry is ready. Serve with chapati, paratha, roti. Next Post: Soya Bean Kebab Recipe.